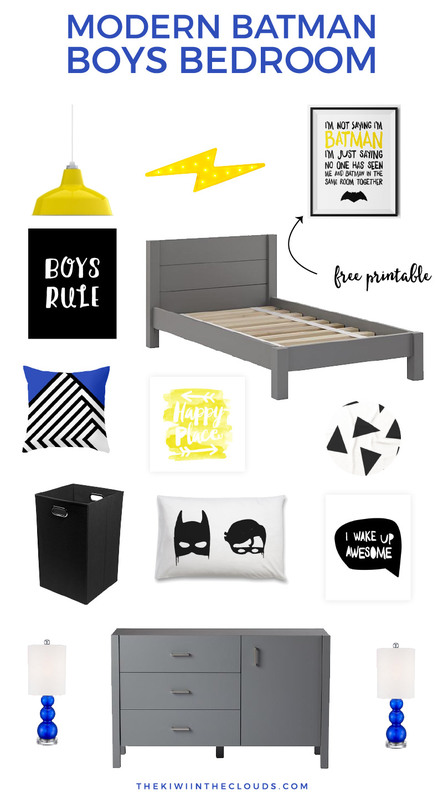 Inside: Plan a modern Batman boys room and download a Batman free printable perfect for little bedrooms or even as nursery art. This post contains affiliate links for your convenience. You can read my full disclosure here. Today I’m bringing you a completely modern and slightly Scandinavian style kids room with this modern Batman boys room. Over the last year, I have been really gravitating towards the minimalist, clean and functional style of Scandinavian design and knew this theme would be perfect to try it out for myself. My idea for this room came from these awesome Batman wall decals that I keep seeing circulate through Pinterest. They’re not included on this board, but they really are adorable. 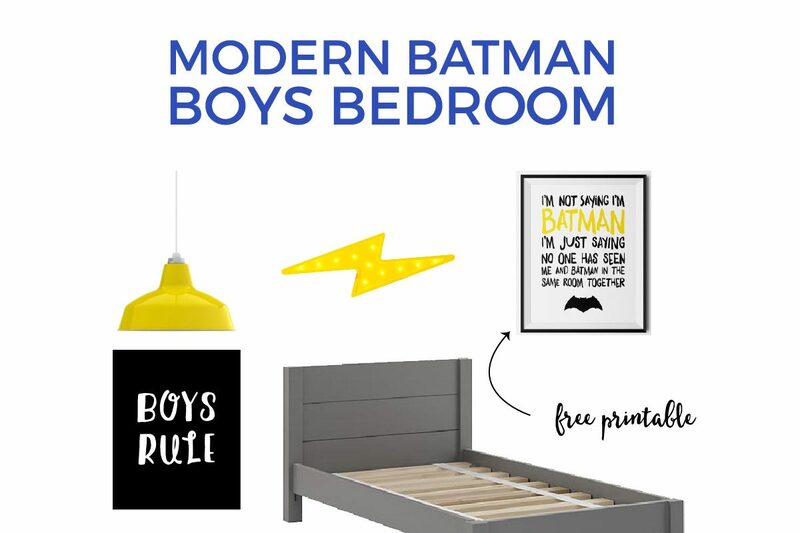 This modern Batman boys room satisfies every little boys’ desire to be a superhero while still allowing room for the pieces to grow with your child. 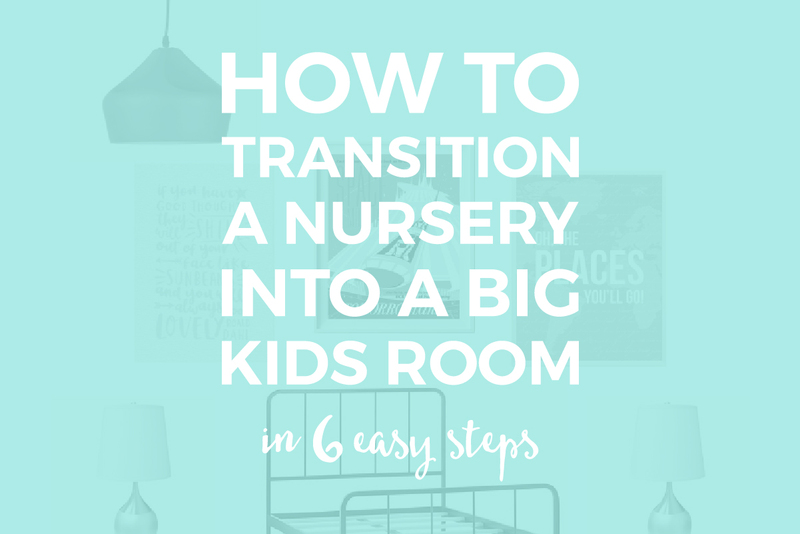 The bold yellow and blue pieces could also be integrated perfectly into a colorful playroom if you ever decided to make over the bedroom. What I like most about this room is that all of the pieces work together to bring a really cohesive look. I don’t believe there is one piece that is the “star” of the show, although the Bat Boys pillow is great at tying the theme together. 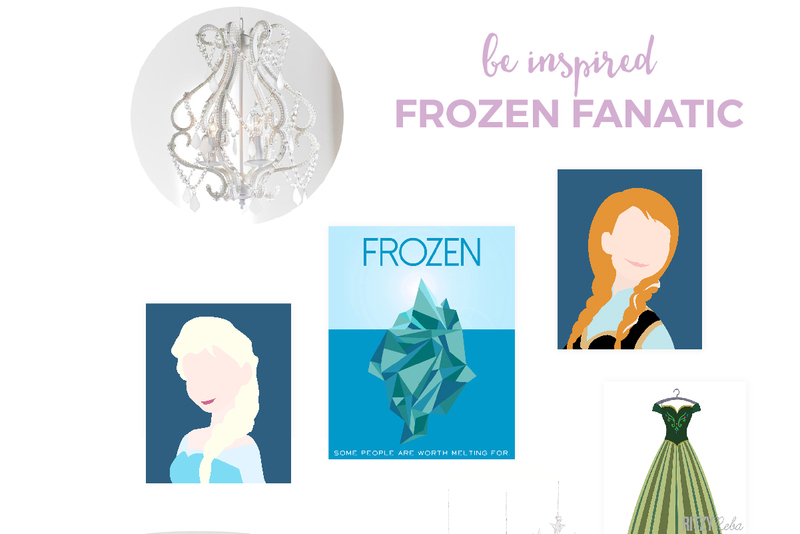 Like usual I decided to create a free printable wall art file to go along with the room. 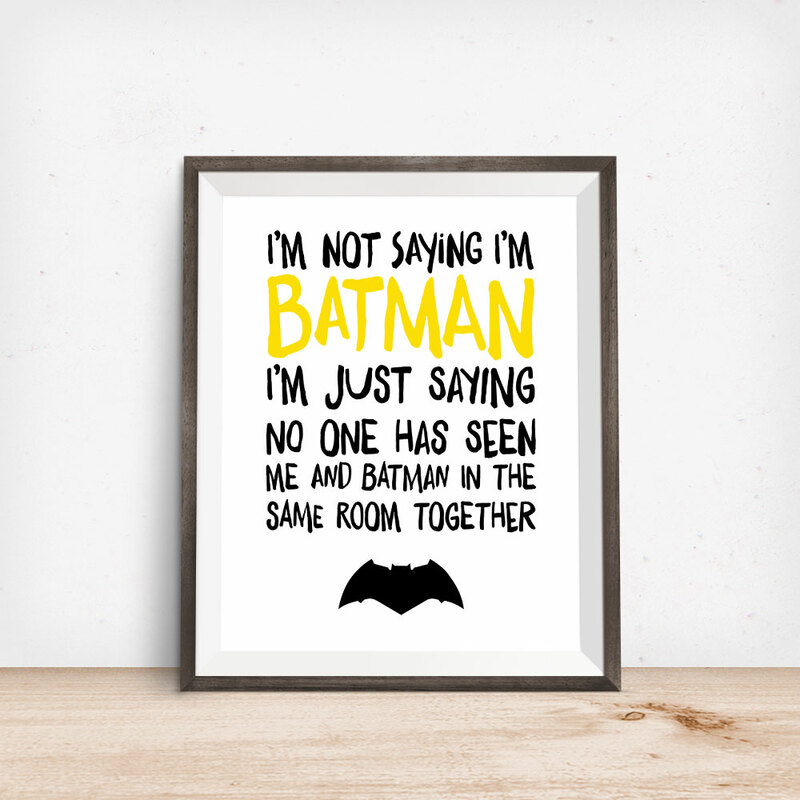 This time I created the “I’m Not Saying I’m Batman” digital print for all of you. I love how it looks like a child wrote it, with the uneven thickness of the letterforms and that it incorporates the bright yellow as an accent color. If you decide to create this room for your little one I would suggest leaving all the walls white or perhaps painting one focal wall black. The only caveat to the black wall is that I would be sure that there is great lighting in the room so it doesn’t feel like a dungeon. You still want the room to be light, bright and airy. However you style your Bat Boys room, if you use this board as inspiration I would love to see the final product! I love it! I was just working up a superhero blog last night too :). The blue and yellow palette is bright and fun; giving a nod to the 60’s Batman (my son is addicted to watching). Great job! Oh, I’m so glad to hear that! And nice catch; I never noticed I didn’t add the source for that one! It’s the Nordli 8-drawer dresser from Ikea. I just updated the post, so you can find the link there too. Can’t wait to see how the room turns out!! Hi Sam, by any chance will the “I’m Not Saying I’m Batman Print FREE DOWNLOAD” be available again? Hi can I have the “I’m not saying I’m Batman” link please. Hi! Sorry you’re running into problems. What isn’t working exactly? It looks like the form is still working on my end. Looking for the Batman ideas! I would love this printable! Not only for little boys. Dad loves it to. 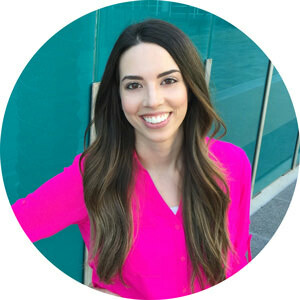 Hey Ashley, if you enter your email in the form at the bottom of the page the link will be emailed directly to you. Looking for the link to the free batman printable. Thank you! Where did you get the blue and white rug from? I don’t see a white and blue rug in the picture…Were you talking about something else? Thank you for your site! I would love the link of the “I’m not saying I’m Batman…” print! Thank you! No problem 🙂 Just enter your email in the form at the bottom of the page and the link will be emailed to you. Of course! If you enter your email in the form at the end of the post, it’ll be emailed to you. Would love the “welcome to the batcave” sign and the “im not saying Im batman” sign. 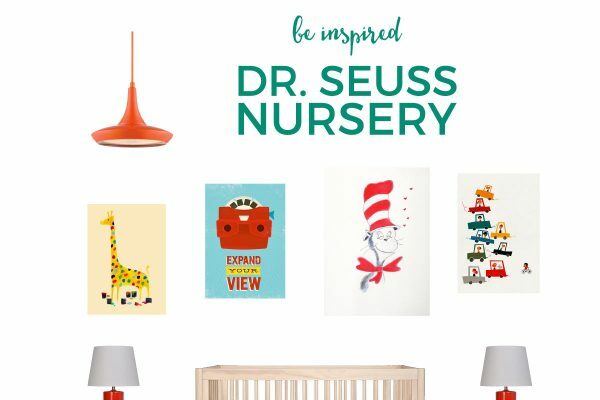 Would love the free printables! This room looks amazing and my 6 year old loves it!